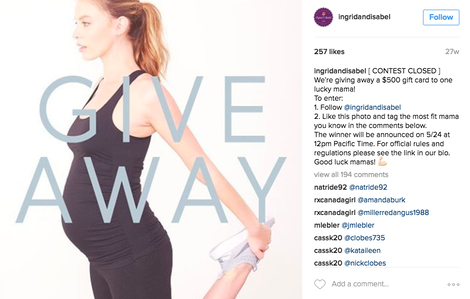 Instagram Contests (also known as Giveaways) have been a powerful marketing tool for Sackcloth & Ashes. The company was founded by Bob Dalton who was inspired to help the homeless community when his mother, a hardworking single mom, found herself living on the streets in 2013. Sackcloth & Ashes makes beautiful, durable blankets and for every blanket purchased, a new blanket is given to a homeless shelter. They have become very successful, and a large part of that success comes from their engagement with customers on social media. 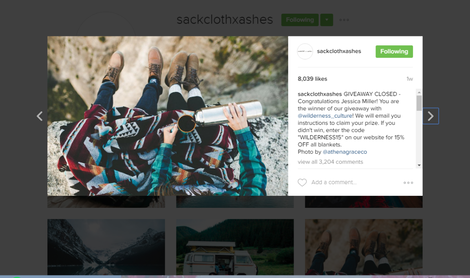 On Instagram the company has over 143,000 followers, and holds regular giveaways for their blankets. 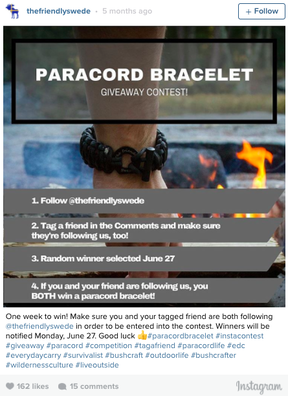 By partnering with other pages to promote their contests and asking participants to follow them and tag their friends, the company has been able to grow their business and effectively engage their followers on a regular basis. Their contest posts average thousands of likes and comments, and the power of that engagement is not to be underestimated. How can you run a successful contest of your own? 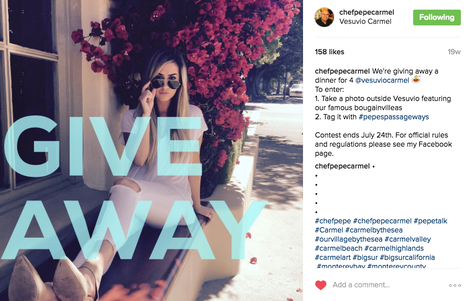 Here are some tips on how to run an effective Instagram contest that gets real results for your brand or business. Good planning is a #majorkey to running a successful contest. First, you’ll need to set goals for your contest. Why are you running the contest in the first place. Once you’ve determined your goals, you’ll need to decide what you’ll be giving away (the prize). You’ll also need to think about how people will enter the contest, how long the contest will run, and how you will go about promoting it. 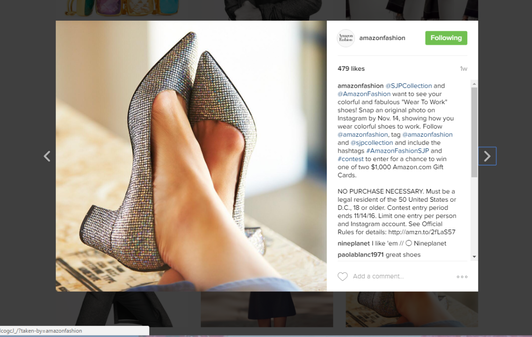 Keep reading to learn how to set yourself up for success with a killer Instagram contest. Before you get started with your Instagram contest, think about why you are running the contest in the first place. 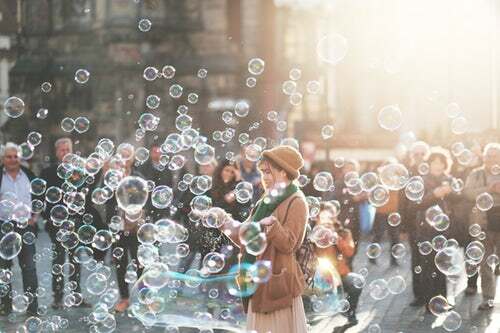 Ask yourself: If everything goes well, what do I hope to gain from this? Gaining brand awareness is the prize you receive from your contest! Not only will your longtime followers become more familiar with you, but they’ll invite their friends to check you out too! A contest or giveaway is a great way to increase your followers. By having participants either post a photo onto their profile and tagging your account, or by asking them to tag a friend in the comments of one of your posts, many new people will be driven to your page. By asking participants to tag friends in order to enter the contest, your comments should be much busier than usual. It becomes a domino effect as the tagged friends join in to tag even more users. By choosing an awesome prize or promoting the contest with a cool picture, you should see a significant number of likes. You can also ask participants to like the post as part of their actions in the contest! Getting more user generated content. Holding a photo contest is a great way to get content for your own profile. Ask participants to use a certain theme or item that is relevant to your brand in their photo so that you can later use them to promote your business. 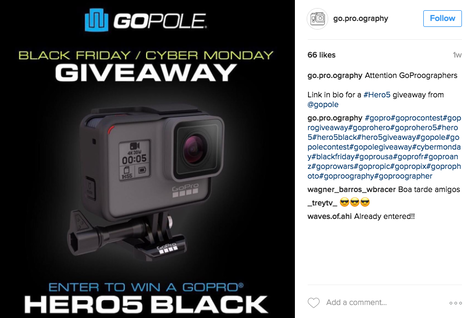 Choosing an awesome prize is crucial to running a successful Instagram contest. Your followers have to really want the prize to perform the actions it requires to win it. Make sure the prize is fun and relevant to your brand. This is a smart option for beauty companies, those who make equipment or gear, or any other physical product. The giveaway can be for a service as well, but if it’s location-specific, you’ll be limiting yourself in who can or will enter. Instead of giving away a specific product, you can offer a gift card to your business. This is very common with apparel companies, who don’t want to giveaway a specific item in case it’s the wrong size, as well as for local businesses such as restaurants. Check out this example from @IngridandIsabel! If you’d rather giveaway something not directly related to your business or brand, technology products are a sure bet. IPads are very popular giveaway items, but can be expensive. GoPros are also very popular, and can be a good choice if you’re in a related industry like travel, adventure, action sports, or photography. If you’d like to give away a tech product, but don’t want to spend over $100, Amazon Fire TV sticks are another great option. Whatever you choose, be sure to pick a popular product that you know your audience will love. There are three different “Contest Types” you can choose from, and each has its pros and cons. A common contest type asks you to perform an action on a photo in order to enter. This type of contest is good because they tend to be easier to enter, making people more likely to participate. If you’re a business that is just starting out and needs to engage more Instagram users, this might be good for you. This is a basic way to gain more attention and followers, and to make your participants happy, so everyone wins! 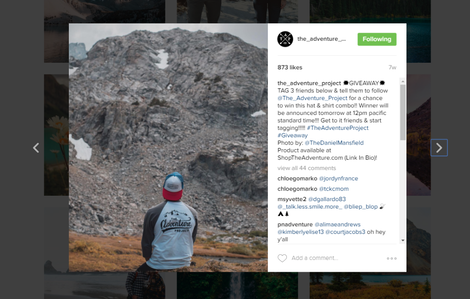 The Instagram contest below asks people to enter by tagging three friends and following @The_Adventure_Project. Tagging others. One of the more common practices for giveaways, a giveaway photo is posted and followers are instructed to tag a friend (or three) in the comments for a chance to randomly win a prize. This is a great way to draw attention to your page, because it’s likely that those friends who are tagged will browse your profile, and hopefully add new friends to the comments. ​Follow your account. Many giveaways remind participants that a winner will only be selected if they are following the account that’s hosting it. If the giveaway stays open for a couple of weeks, it’s possible that new followers will become connected with the account and won’t unfollow immediately after the contest is over. ​Like the photo. It doesn’t get easier than this! Asking people to like your contest photo not only boosts your post engagement, but leaves no excuses for your followers not to participate! Deciding a winner can also be done easily and randomly this way. If your goal is to increase brand awareness, engagement, and to get more followers, we recommend combining all three! Combining all three of these strategies (follow, comment, like) is not asking too much of your participants. They should be following you to win anyway, tagging friends (preferably more than one to increase exposure!) is easy and fun, and liking the photo should be a given – that’s what Instagram is about! Post a photo, tag your company. This type of contest is great because it allows your followers to market for you. The rules are usually that those participating would take a photo with one of your products, or using a certain theme, and then post it to their own account and tag you in it. This gets them directly involved, and your profile is marketed to all of their followers. Once a winner is chosen, reposting their winning photo on your own page is a great way to make that member feel appreciated. ​Photo a photo, use your branded hashtag. 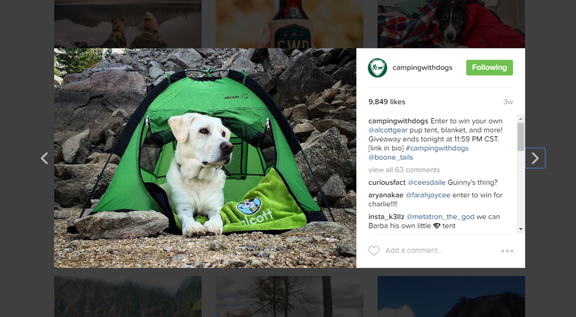 Also for photo contests, using a branded hashtag is a great way for you to keep up with contest entries, and to also make participants more involved. You can both track the progress of the contest via searching the hashtag, and entries can be easily compared. To make this even easier, ensure the hashtag is unique to your brand and contest so that all of the results will be yours! If your goal is to get more user-generated photos to post on your own Instagram, we recommend doing both. Again, you might as well ask your participants to do both of these things. By tagging your account and using your hashtag, their entries are more likely to be seen by you, and those seeing the entries on their own timelines can easily find and learn more about your business. This method has some pros and cons. The premise is that you announce in a post that a contest or giveaway is happening, and then you direct followers to the link to your website in your bio, where they can enter the contest. The biggest pro is that you drive traffic to your site, and hopefully they’ll click around after entering. The downside, however, is that many people may be too lazy on Instagram to go on an external site, so you may get less entries this way. We would only recommend using this type of contest if you’re already holding one on an external site and want to drive more traffic to it. Determine the Length of contest. 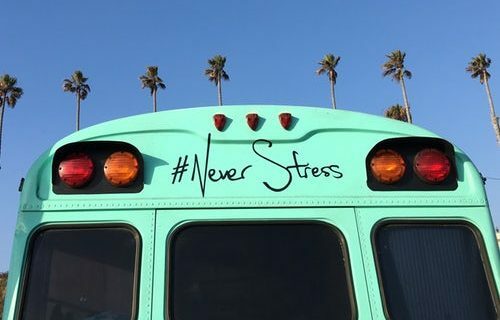 While contests run for a variety of lengths of time, it’s important to find a sweet spot for your followers so that they have adequate time to participate, but not enough time to become uninterested in it. If a contest runs for a month, they may forget to eventually enter, or lose interest in keeping up with it as the weeks go by. Different types of contests require different ways of choosing a winner. If you’re running a photo contest, the winner could be the photo that has the most likes, or the photo you feel best represents your contest or company. It’s really up to you! If you want to choose the photo with the most likes, create a hashtag for your contest so that you can easily find the leaders in the Top Posts section. You can also ask participants to tag you in the photo, which will bring people to your page and make it easy to see your submissions. For contests that involve following/liking/commenting, it may be best to do a random selection, or to sort through the comments to find who seems most excited. Make sure whoever you choose isn’t a spam account and that they are following you! Many people scroll through their Instagram feeds quickly and may not notice your post is about a contest unless you make it clear. Use an editing tool to overlay text that will draw closer attention to your post. Some editing tools you can use include Photoshop, picmonkey.com, pablo.buffer.com, or the Snapseed app if you’re using your phone. Don’t confuse your followers with a long, confusing caption. Announce the contest and prize, tell them how to enter, and give them a deadline. Use your branded hashtag so they can see it firsthand. Information beyond that is clogging the post. Keep it simple! 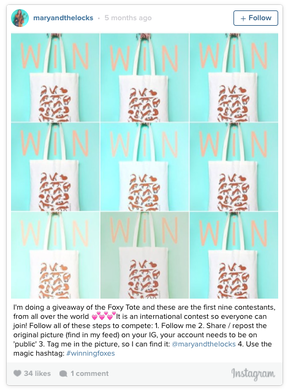 Instagram has five straightforward rules for holding contests on their site that you’ll need to abide by. The last thing you want is to put all this time and effort into putting together an amazing contest, only to have it taken down for violating Instagram policy. The rules are fairly simply. 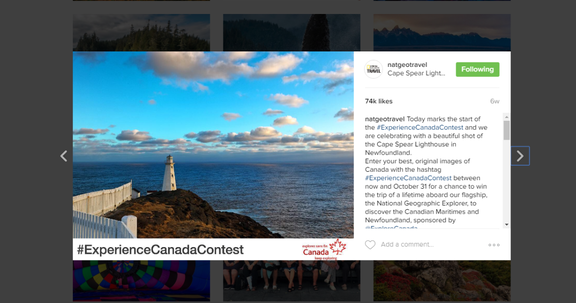 You’ll need to include the rules, terms and eligibility requirements of the contest when you announce it, and make it clear that your contest is not sponsored by or associated with Instagram in any way. The more platforms you promote your contest on, the more engagement you’ll get. It’s as simple as that. However, make sure your rules, goals, and deadlines are consistent so as not to confuse participants or to make them feel like their entry is invalid. This is easy to do and saves everyone a lot of trouble. Partnering your giveaway with another account is a great way for both of you to benefit. If both accounts post about the giveaway, they will both receive new profile views and followers. Be in contact with pages that have similar views and followers, and find a page that you can work with. Once a contest is over, re-caption your original post to say that the contest or giveaway is closed, and congratulate the winner. This keeps new followers from trying to enter a closed contest, and it is exciting for the winners. Find and save the best entries. If you ran a photo contest, be sure to save the best user submitted photos to share on your Instagram later. Whether it’s for a future contest or just for a time when you need some quality content, saving the best user submitted photos makes your job easier, and gives participants even more incentive to participate. Create a folder for these photos to have them within reach whenever you decide to use them! After running a contest or giveaway, it is important to run your numbers on its related posts. How many likes and comments did your contest post receive compared to your other posts? How many new followers did you gain? Knowing this information can help you run more successful contests in the future, and just be a better business person on Instagram in general. You’ll be able to track what works for your followers, and hopefully you’ll get feedback from your contest participants as to what they liked and didn’t like. If you’re a business on Instagram, holding a contest or giveaway is a fun and easy way to gain followers and engage your customers. Take your business account to the next level with the tips from this article, and if you need some more help, the team at Jumper Media is at your service! 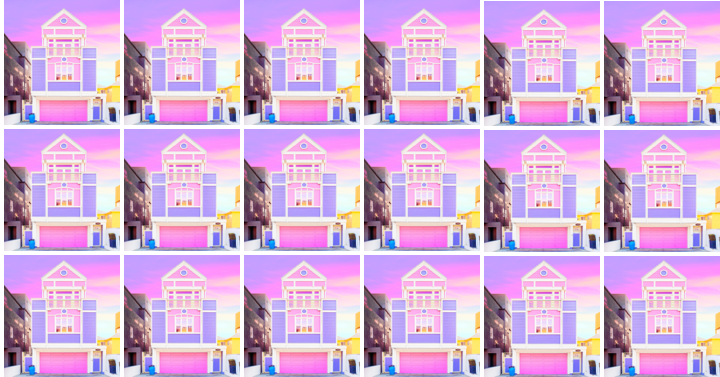 2019 Instagram Marketing Magic—All the New, Cutting-Edge Sh*t They Don’t Want You to Know!